RALEIGH , N.C. -- Republican presidential hopeful Donald Trump's lead continues to grow in North Carolina, according to a poll released Wednesday by liberal-leaning Public Policy Polling, but it's the surprise inclusion of an independent candidate that's turning heads. The new PPP poll revealed independent candidate Deez Nuts is polling at 9 percent in the Tar Heel state. Running as an independent from Wallingford, Iowa, population 197, Deez Nuts has gone viral and has a large fan base. According to The Daily Beast, Deez Nuts is actually the invention of a 15-year-old Iowa farm boy, who filed papers with the Federal Election Commission. 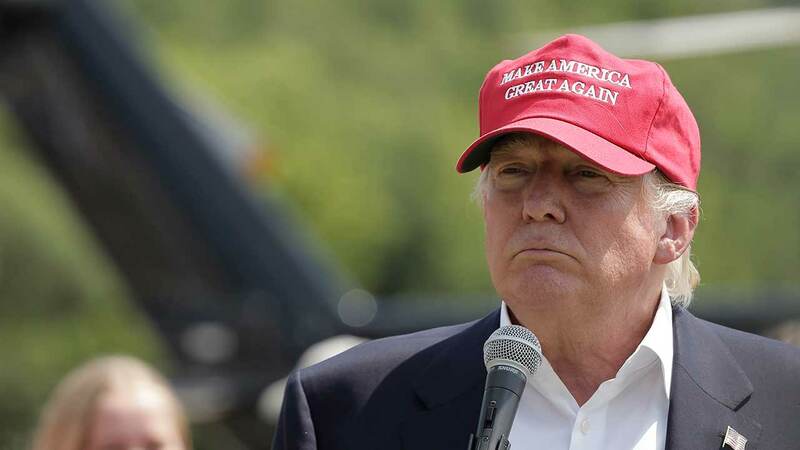 The poll, done in July, showed Trump leading the Republican field at 16 percent. The newest survey of North Carolina shows Trump has risen steeply to 24 percent, while all others are lagging behind. According to PPP, Trump leads the GOP with moderates, "somewhat conservative voters," "very conservative voters," men, women, middle-aged voters, younger voters and seniors. Public Policy Polling revealed independent candidate Deez Nuts is polling at 9 percent in North Carolina.